BalanceFrom Premium Digital Bathroom Scale Just $13.95! Down From $70! You are here: Home / Great Deals / BalanceFrom Premium Digital Bathroom Scale Just $13.95! Down From $70! Amazon has this BalanceFrom Premium Digital Bathroom Scale on sale for $13.95 (Reg. $70)! BalanceFrom High Accuracy MemoryTrack Premium Digital Bathroom Scales use four latest version of precision sensors to catch your weight accurately and consistently. 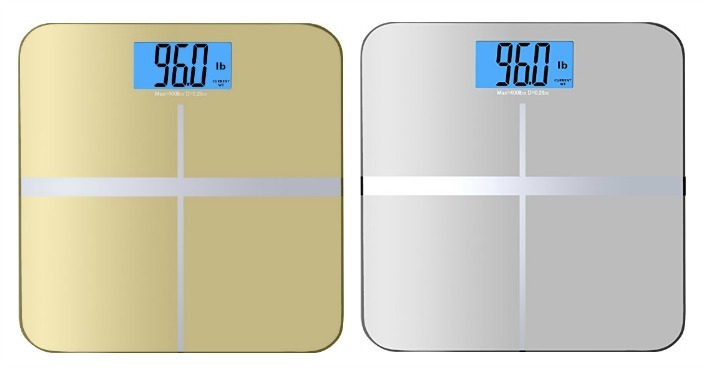 Equipped with BalanceFrom MemoryTrack technology (Absolutely NO installation required on your side), the scale will show you your current weight in a blue backlit AND the last weight it registered in a green backlit. With this scale, you will get everything you can get from a regular bathroom scale, plus an extra feature. “Smart Step-On” technology and automatic turn off are also so user-friendly.